Meridian is in the heart of Idaho's Treasure Valley. We have a growing economy in a beautiful place to live, work and play. The climate is fairly mild, with four distinct seasons, allowing residents to enjoy year-around outdoor activities. The Village at Meridian is growing to become your premier and eclectic mix of nearly 100 shopping, dining and entertainment venues. The finished project is one of the Meridian’s most energized and unique experiences. 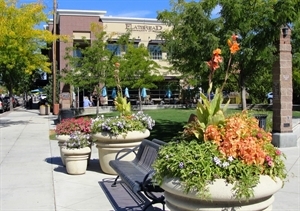 The Village at Meridian is the paramount lifestyle development in the greater Boise region; now the third largest metro area, and one of the fastest growing in the Northwest. Further, the project represents one of the most significant commercial projects ever developed in the state of Idaho. This project makes the rapidly growing community of Meridian a new ‘center-of-gravity’ for the citizens and out of town visitors alike. Wahooz Family Fun Zone, Roaring Springs Water Park and Pinz Bowling Center, and Urban Air Trampoline and Adventure Park are dedicated to achieving excellence in family entertainment. We are committed to making each patron feel that they are truly our GUEST by providing HIGH QUALITY ENTERTAINMENT, FRIENDLY CREWMEMBERS, and OUTRAGEOUS SERVICE. Wahooz Family Fun Zone creates an EXPECTATION of EXCELLENCE among crewmembers, guests, and the community by providing the highest quality service that always EXCEEDS EXPECTATIONS. The are some public transportation opportunities in the Boise area, but they are even more limited in Meridian. St. Lukes hospital is located in both Meridian and Boise. St. Alphonsus Medical Center has Urgent Care facilities in Meridian and a full hospital in Boise. Primary Health Medical Center has seven locations in Meridian. The VA Hospital is about 30 minutes away. Jan 23.7 F° 31.2 F° 38.7 F° 1.2 "
Feb 26.7 F° 36.2 F° 45.7 F° 1.0 "
Mar 32.7 F° 44.5 F° 56.3 F° 1.3 "
Apr 37.7 F° 50.8 F° 64.0 F° 1.1 "
May 45.0 F° 58.8 F° 72.7 F° 1.3 "
Jun 52.0 F° 67.2 F° 82.3 F° 0.7 "
Jul 58.0 F° 74.8 F° 91.7 F° 0.3 "
Aug 56.7 F° 73.7 F° 90.7 F° 0.2 "
Sep 47.7 F° 63.7 F° 79.7 F° 0.5 "
Oct 38.3 F° 52.3 F° 66.3 F° 0.8 "
Nov 30.0 F° 39.7 F° 49.3 F° 1.3 "
Dec 22.7 F° 30.5 F° 38.3 F° 1.5 "
Spring temperatures are cool with averages in the low 50's and highs in the mid 60's. Nights are cold with lows in the upper 30's. Summer temperatures are mild with averages in the low 70's and highs in the upper 90's. Nights are cool with lows in the mid 50's. Fall temperatures are cool with averages in the low 50's and highs in the mid 60's. Nights are cold with lows in the upper 30's. Winter temperatures are cold with averages in the low 30's and highs in the low 40's. Nights are cold with lows in the mid 20's. 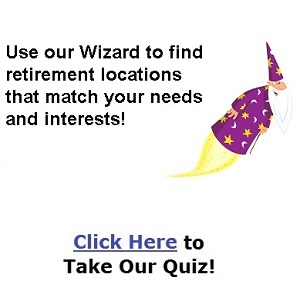 Home care Senior center Visiting nurses Most care facilities offer van services. There is a new transit service in 2016 called Harvest Transit that serves the under-served population. This service is a partnership between Valley Ride Transit and Harvest Church in Meridian.